Botantical Cotton Table Cloth 13" x 54"
Botantical Table Runner 13 in. x 55 in. Measures 13 in. W x 54 in. L.
Table Runner. 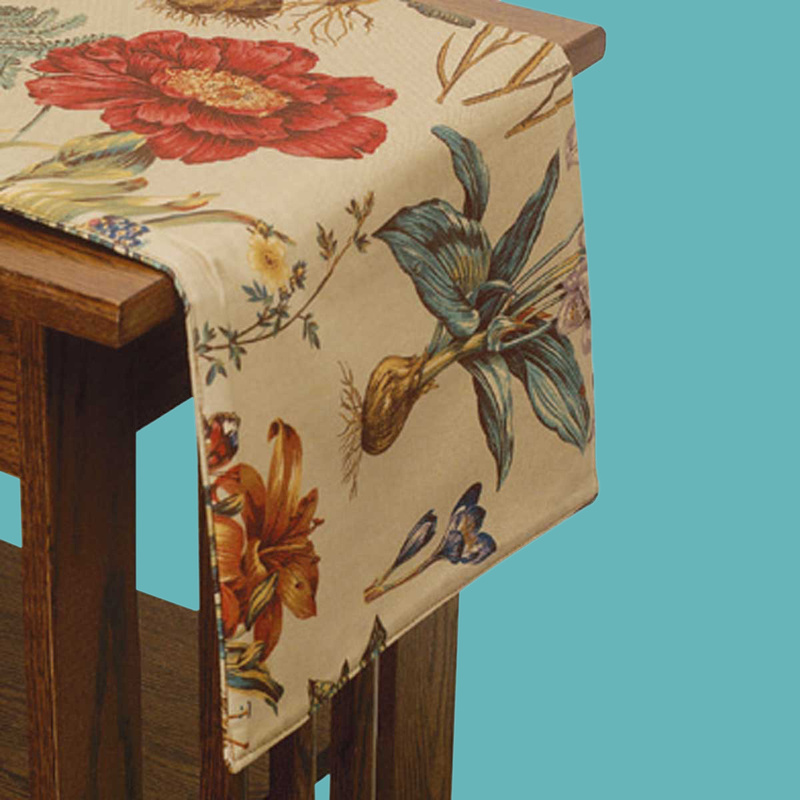 Made in US in Connecticut by Patricia Spratt for Teeter Totter Linens and Gardenware. 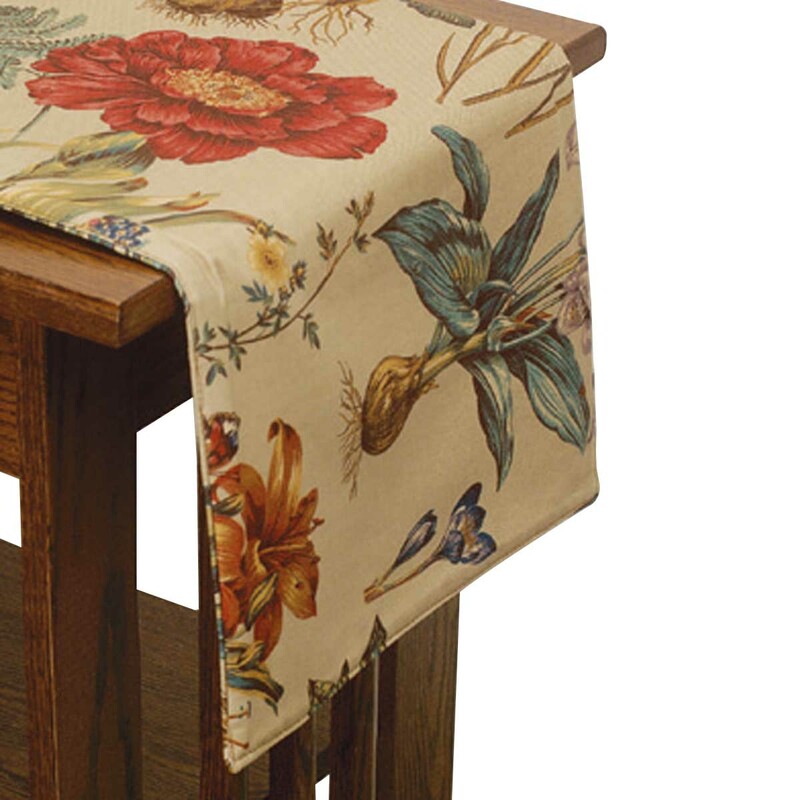 This beautiful botanical fabric will complement any table and is reversible for long wear. Crafted of 100 percent cotton and filled with polyester. Machine wash, gentle cycle. Dry on cool setting remove from dryer while still damp and iron for best results. Measures 13 in. W x 54 in. L.